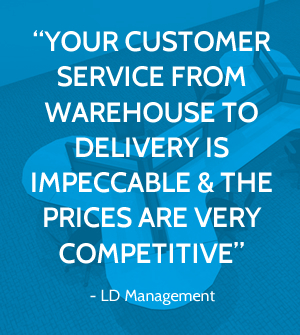 At Capital Choice Office Furniture, we want to make sure you understand everything in the process. Here are some common terms related to office furniture and what they mean. The word “sled” usually refers to the legs of the chair and their shape. Sled Chairs typically curve forward and down on the ground, making a “C” shape from a side view of the chair (if the front of the chair is facing left). These are chairs that can be used for the main desk chair, used all day or in a conference room or work room. They are built to last and endure years of usage. The majority of task chairs have a star base and are on rollers for easy movability. There are varying levels of ergonomic design with adjustable features associated with this type of chair. These chairs are not meant to move around as they don’t have rollers. They are typically used for guest chairs in an office or side chairs in a conference room. They also work great for waiting rooms and class rooms. This is a type of finish that is meant to look like real wood, but is actually a thin layer of wood on top of pressed wood or particle board. Veneer typically has a high gloss finish, but can have a matte or grainy finish too. If a label says it’s solid wood, it should be 100% wood. The furniture item should be heavy and is usually a “one of a kind” piece because solid wood isn’t typically mass produced. These are found in most corporations for desks. They typically come with a laminate top, which may be a different color than the rest of the work station. The desk can be set up with a pedestal and usually comes with overhead bins, drawer systems, and lateral file cabinets. They can also be used in conjunction with a cubicle system. They are highly customizable and can be changed to fit any office layout. Cubicles are usually found in many office settings as they are highly changeable. They are easily re-usable and can be maneuvered around for many office needs. They are cheaper to separate an office space than using actual walls. They come in fabric material and in a variety of shades and colors. They are available in different heights and widths. Call Stations are used at many call centers around the country. Call Stations are different from modular work stations in that they are typically a smaller space, meant for representatives to have space to use a phone and a computer. They are made up of cubicle and laminate counter top. They vary in size, colors, and shape depending on the business’s needs. This is a desk that usually comes with a credenza, overhead cabinet, and a wardrobe cabinet along with a couple lateral file cabinets. Executive Desks are made for large offices with lots of room for the big pieces of furniture. This is the term used for a stand alone desk. The single desk can have drawers on both sides or not at all. It can come in many widths and lengths, made from many materials (metal, wood, veneer), and come in many colors. U Desk are for those people that need a lot of work space and storage. U Desk come with a desk and 2 side desks, typically with drawers and/or lateral file cabinets. They can be used in an office or open office space. L Desk are great for corner office spaces. 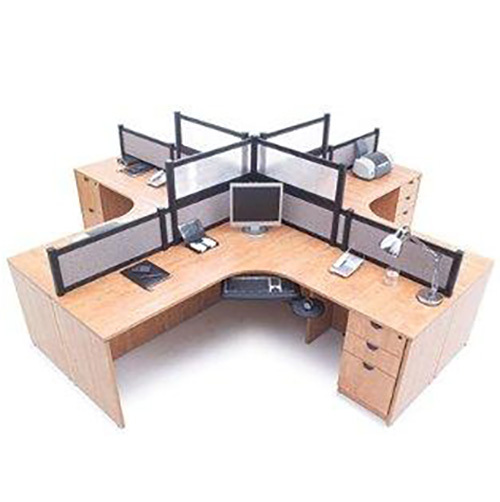 They are L shaped with one side being the desk and the other side providing additional counter or work space. Lateral file cabinets or drawers are usually included in the L Desk setup. This term is used for a desk that has a higher wall or shelf along the walls, called a transaction top. Secretary Stations work well for receptionists that are greeting guests, security guards, or executive assistants that need higher counter space. They are typically L shaped and can be used in conjunction with cubicle walls to make a U shape for more privacy. Manager U Stations are used for supervisors or managers. They are higher in height with 3 walls, which allows them privacy whether they need to review confidential materials or have discussions with employees. Many call stations and businesses use them for their managers. Lateral File Cabinets can vary in height and can have 2-5 drawers for files. They range in lengths and can be used with modular work stations, cubicles, and many L & U shaped desk units. They are good for offices with limited depth, but a lot of wall space. They come in widths of 30, 36 and 42 inches. Vertical File Cabinets are “skinny” and typically only 15 – 18 inches wide. Vertical File Cabinets can vary in height and, therefore, can have 2-5 drawers for files. They come in metal, legal, and wood. Most businesses use them to store hard copies of customer information. This term is used for large tables that aid in business meetings and can usually sit 6-14 or more people. Many companies use conference tables in their own room to allow for privacy during meetings. Training Tables can come in many shapes and sizes. They are used for work areas, training rooms and can be reconfigured to become a conference table if needed. The word “pedestal” refers to how the desk is structured on a pedestal leg. Pedestal Desks typically are a part of a work station, acting as the arm of the desk extending it out into a L or U shape. A return is the name for the middle part of the desk in between a U shaped desk that connects the desk to a credenza and/or hutch.